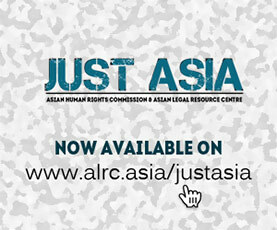 The Asian Human Rights Commission (AHRC) has received information regarding the brutal attack and forced eviction of Ahmadiyya homes in Lombok Timur committed by anti-tolerant groups. The police and the local government failed to ensure protection for the Ahmadiyya. Up until present, there is no clear law enforcement committed by the law enforcement agency against the offenders. On 19 May 2018, at 11 a.m., an anti-tolerant mob brutally attacked and forcibly evicted the Ahmadiyya congregation from their homes in Grepek Tanak Eat hamlet, Greneng village, Sakra Timur sub-district, Lombok Timur regency, West Nusa Tenggara Province (NTB). The attack has resulted in six houses being damaged, along with electronic equipment and four motorcycles belonging to the residents. Subsequently, 24 Ahmadiyya members were evacuated to the East Lombok Police Office (Polres Lombok Timur). In front of the police the members were attacked again, and another house was damaged on May 20. 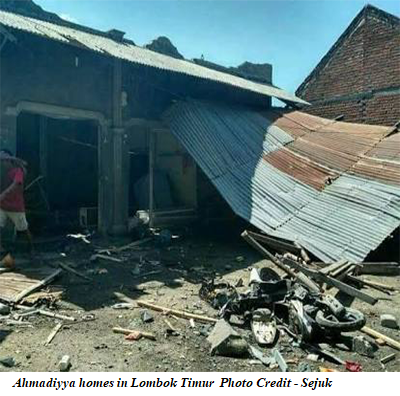 The aim of the attackers was to destroy all the houses belonging to the Ahmadiyya congregation and forcibly evict all the Ahmadiyya from Lombok Timur. The Ahmadiyya congregation had previously filed a report regarding threat and intimidation to the police, after which some dialogues between the two groups were conducted by the police, however, the dialogue failed to address the problem. Please write to the authorities listed below, asking them to ensure that the government, in particular the law enforcement agency, ensures protection for the Ahmadiyya congregation and also prosecutes the attackers. The National Commission on Human Rights must take a proactive role to ensure effective remedy, further the Minister of Religion must take initiative to lead the dialogue process among the religion and belief groups in Indonesia. The AHRC will write a separate letter to the UN Special Rapporteur on freedom of religion or belief calling for his intervention in this matter. Place of incident: Grepek Tanak Eat hamlet, Greneng village, Sakra Timur sub-district, Lombok Timur regency, West Nusa Tenggara Province (NTB). I am writing to voice my deep concern regarding the brutal attack and forced eviction of Ahmadiyya homes in Lombok Timur committed by anti-tolerant groups. The police and the local government failed to ensure protection for the Ahmadiyya. Up until present, there is no clear law enforcement committed by the law enforcement agency against the offenders. Therefore, I respectfully request the government, in particular the law enforcement agency, to ensure protection for the Ahmadiyya congregation and also prosecute the attackers. The National Commission on Human Rights must take a proactive role to ensure effective remedy, further the Minister of Religion must take initiative to lead the dialogue process among the religion and belief groups in Indonesia.